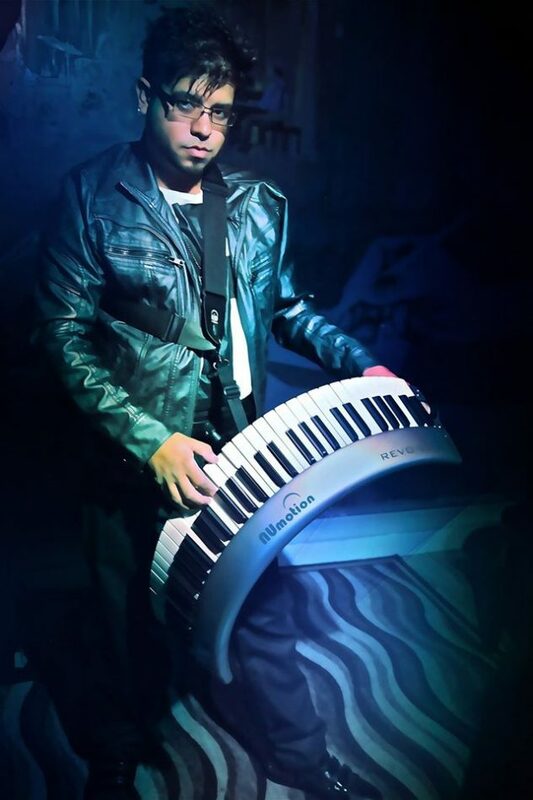 Mario Ortiz AKA MARIO O, is more than just your typical keyboard player. he's also one of the newest and hottest producers in the latino market right now. Born and raised in the small town of Del Rio,Tx., Mario grew up in church playing the drums. He then took an interest in playing the piano. After graduating high school, Mario left his hometown to find himself and become a professional working musician. He moved to San Antonio,Tx. and landed a job with one of the most respected producers in the game. Mario became one the most hard working keyboard players in the Tejano industry. He has recorded, arranged , and produced numerous albums for most of the established artists in this genre of music and has also established his name in other markets. He has been the MUSIC DIRECTOR for the JAY PEREZ band (THE BAND) for the past 9 years. Mario has also won 2 TEXAS TALENT MUSICIANS ASSOCIATION KEYBOARD PLAYER OF THE YEAR awards, as well as BEST TEJANO ALBUM. He is also a 4-time GRAMMY AWARD WINNER, and has numerous GRAMMY NOMINATIONS as a Keyboard player and a producer. In 2013, Mario was the MUSICAL DIRECTOR for the TTMA Orchestra at the 33rd annual TEJANO AWARDS in San Antonio,Tx. Today Mario is considered an entrepreneur who now owns his own recording studio and also started his own publishing company; MARIO O MUSIC, and is also in the process of starting his own Record Label. Mario is also well-known for giving back to the community. He has assisted and donated much of his time to local schools in the southwest region to further assist in music education. He dreams that his music will make a huge impact in people's hearts and lives and allow him to share it with millions around the world.